How can suffering be God’s will? The Apostle Peter writes, “Therefore let those who suffer according to God’s will entrust their souls to a faithful Creator while doing good” (1st Pet 4:19). What? Really? God’s will is for us to suffer? 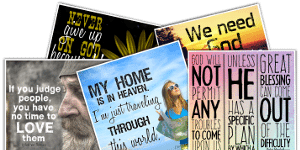 Yes, it is God’s will that we should suffer, so keep reading to find out how this works. God is working in the heart of every child of His and after months and years, the evidence is clear that we are growing in the grace and knowledge of our Lord, but guess what? Suffering speeds up this process as Peter writes, “insofar as you share Christ’s sufferings, that you may also rejoice and be glad when his glory is revealed. If you are insulted for the name of Christ, you are blessed, because the Spirit of glory and of God rests upon you” (1st Pet 4:13-14). Part of the purpose of suffering is to know Jesus Christ better. How does that work? The Apostle Paul wrote that it is so “that I may know him and the power of his resurrection, and may share his sufferings, becoming like him in his death” (Phil 3:10). Many people want to share in the blessings of Christ, but few I know want to actually share in His sufferings, and that’s too bad because that’s part of the purpose of God that helps us to grow. God’s desire is that we live a holy life, but that life will bring us suffering. The Bible says “all who desire to live a godly life in Christ Jesus will be persecuted” (2nd Tim 3:12). It doesn’t say “most” or “many” will be persecuted, but “all who desire to live a godly life in Christ” are going to “be persecuted,” so get used to it. That’s what God desires because being persecuted for His name’s sake brings great blessings and it builds character in us. 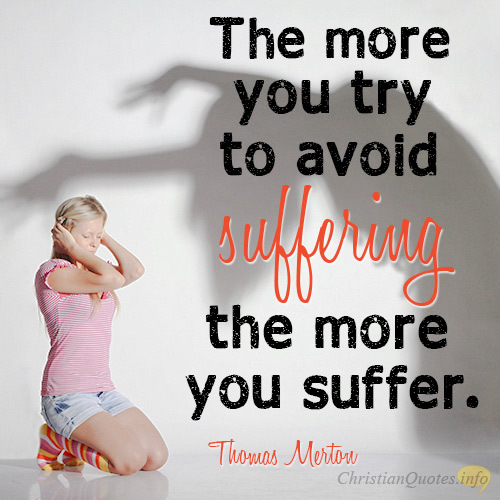 The more that we resist suffering, the more we can bring it on, because we’re not allowing God to use suffering to grow us and shape us and conform us into the image of His Son, Jesus Christ, so “do not be surprised at the fiery trial when it comes upon you to test you, as though something strange were happening to you” (1st Pet 4:12). The real surprise would be if we were never persecuted. If that’s the case, we had better examine ourselves to see if we truly are in the faith (2nd Cor 13:5) because we are told that all who live godly lives will be persecuted. 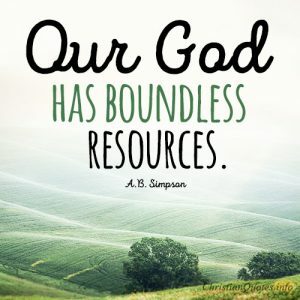 Suffering happens to all of us, but for the Christian, God uses suffering in a much different way because we know it’s God’s will that we suffer, that God is working in us while we suffer, that God’s purpose is being accomplished in our suffering, that God’s desire is that suffering refines us into the image of His Son, and that this is all done for the glory of God because nothing else matters.